Purr Scouts Care About the Planet! 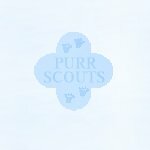 the Purr Scouts Ecology Badge! The Purr Scouts are furry puroud to have Sassy Poisson, Leader of the Environmental Guild to lead this important seminar! Rawr rawr MERAW Purr Scouts! Hello! My name is Sassy Poisson. I am in charge of the Environmental Guild. I am here to offer a new badge that I hope will be of interest to all of you. It is the Purr Scouts Ecology Badge! Well, Spring is finally here. I have been looking forward to this season all winter! It is my favorite time of year. I love it when all the trees and flowers start to bloom, the birds start to sing and the little critters start to scoot around the yard. The colors and the fragrant floral scents always boost my spirits. It is a time when I really appreciate all the beauty the earth has to offer us. 1. Choose an environmental problem that exists in your community, neighborhood or your own home. 2. Write an essay about this issue, describing what it is, how it came about and what can be done about it. 3. Find an interesting website that discusses your topic and write a brief review on it Don't furget to include the name and URL address of the site. 4. Create or find a graphic that illustrates your topic. I will include your work in a special Earth Day Exhibit. I am looking forward to getting your reports. I have heard great things about the Purr Scouts so I know you will all do a fantastic job! Purr Scouts care about Mother Earth!